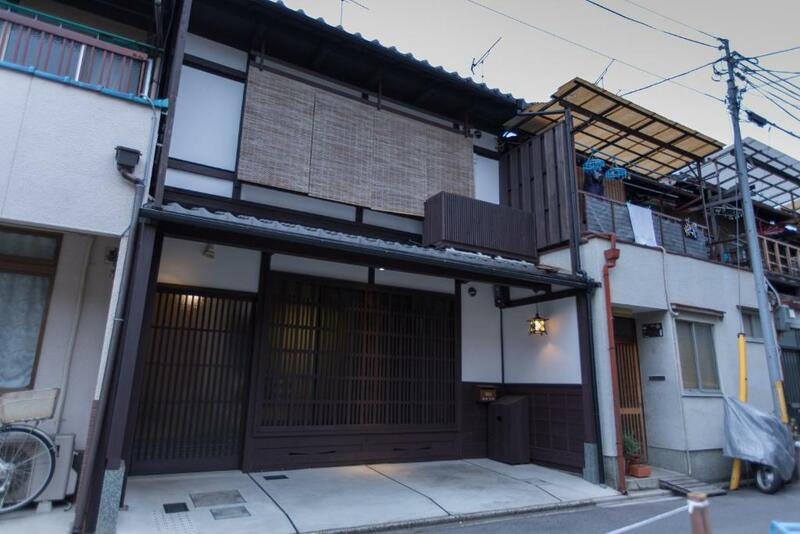 Shion-an is a traditional Machiya townhouse that can be rented as a whole, located a 20-minute drive from JR Kyoto Station. It comes with a big private garden, and features Japanese style living room with tatami (woven-straw) flooring and wooden-floored bedroom with Western beds. Free Wi-Fi is available in the entire property. 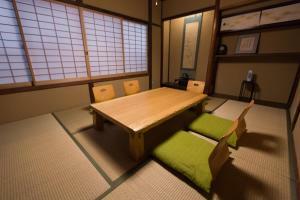 Flat-screen TVs, an electric kettle and free green tea bags are provided at Shion-an. 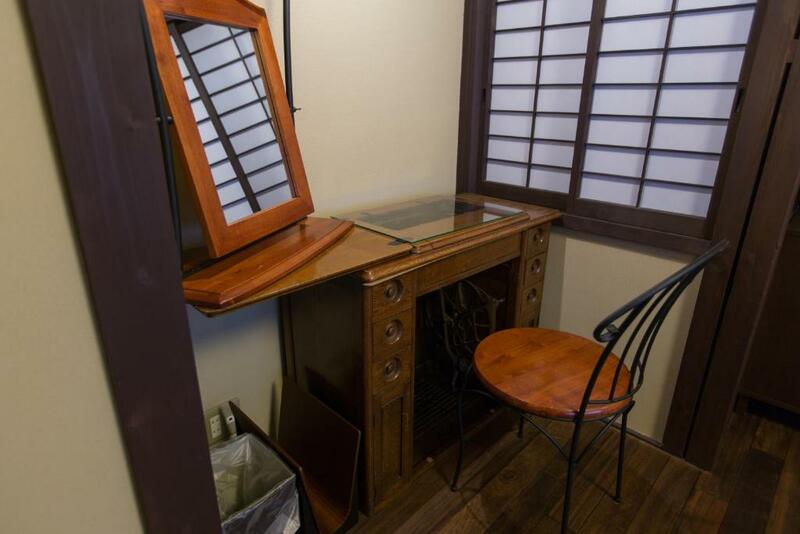 The kitchenette comes with a fridge and a microwave. The private bathroom is equipped with a bathtub, and ‘Yo-jiya’ brand shampoo/conditioner is provided. 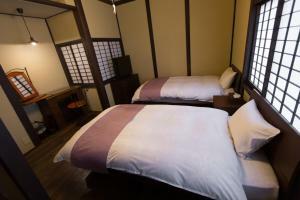 Some guests sleep in Japanese futon bedding. 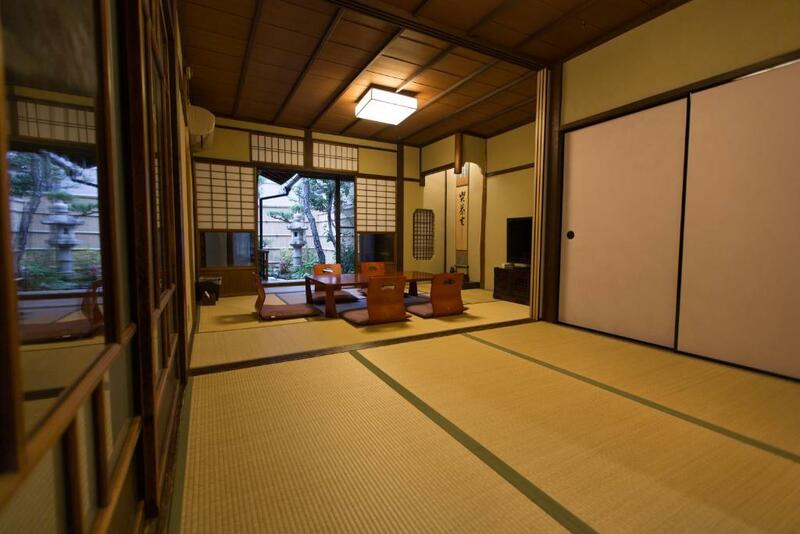 Shion-an is located a 15-minute walk from famous Kinkaku-ji Temple with the golden pagoda. Sembon-kuramaguchi or Kenkun-Jinjamae bus stops are both about a 5-minute walk away. Guests can explore the local area using 4 bicycles that come with the property. Free parking spot for 1 car is available. Reservations must be paid in full in advance via J-Reserve payment system (see Important Information for details). 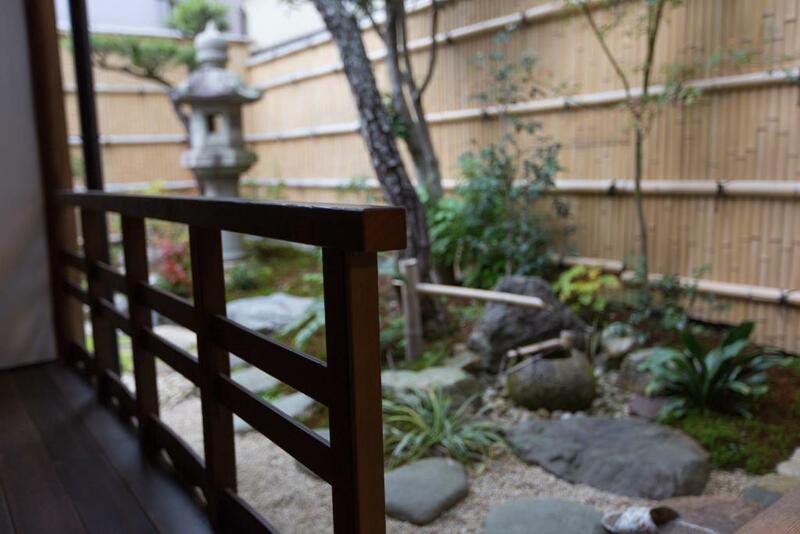 Kita Ward is a great choice for travelers interested in ambiance, temples and scenery. 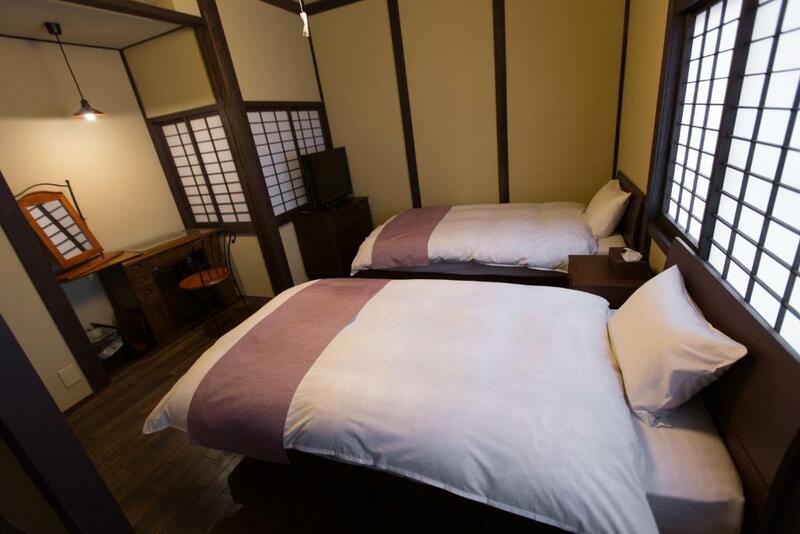 When would you like to stay at Shion-an? House Rules Shion-an takes special requests – add in the next step! Shion-an accepts these cards and reserves the right to temporarily hold an amount prior to arrival. Credit card will be used for guarantee purposes only. Once the booking has been made, the property will contact guests directly via email regarding payment procedures. 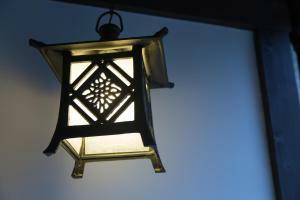 Guests must pay in advance by credit card, using the online Japanese payment system J-Reserve. The property will e-mail instructions after the booking is completed. After that, payment must be completed within 3 days to guarantee the booking. If payments are not made, the reservations may be canceled. You must inform the hotel in advance what time you plan to check in. If your check-in time changes, please update the hotel. Please inform Shion-an of your expected arrival time in advance. You can use the Special Requests box when booking, or contact the property directly using the contact details in your confirmation. 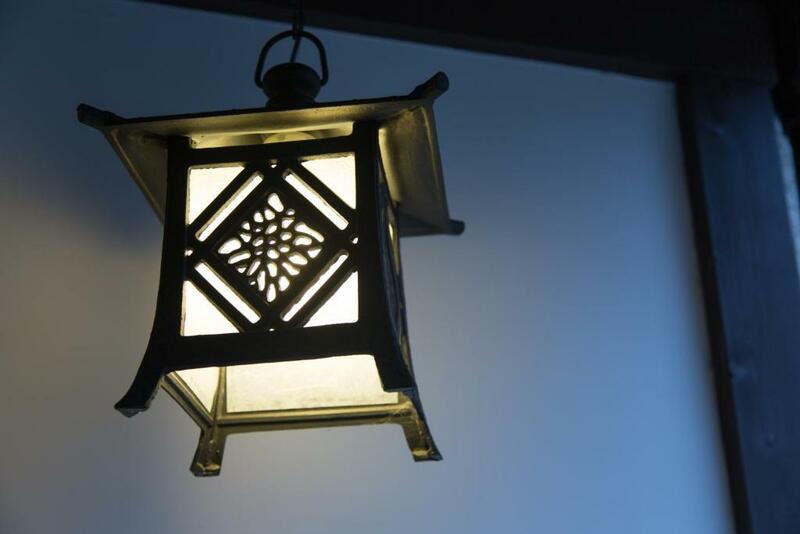 Please note that check-in and key collection take place at: 京都市下京区東塩小路町547-4　ステーションコートヤード1F　京都駅前レセプション, 京都府 600-8216　. We need at least 5 reviews before we can calculate a review score. 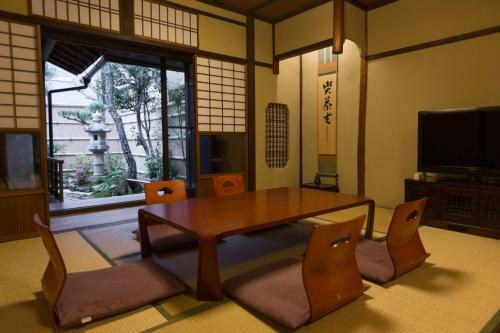 If you book and review your stay, you can help Shion-an meet this goal.